Hiking when it’s even slightly cold can be quite inconvenient. You now have to pack a heavier tent, sleeping bag, warm clothes, and ways to heat water to make coffee and cocoa. But during these preparations for a cold weather hike, you may be forgetting something that can increase the comforts of your tent by ten-fold. 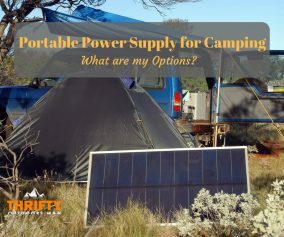 Have you considered purchasing a tent heater? 1) How much heating do you require? 2) What type of heater do you want? 3) How much money are you willing to spend on fuel? 4) How much space does your tent have? 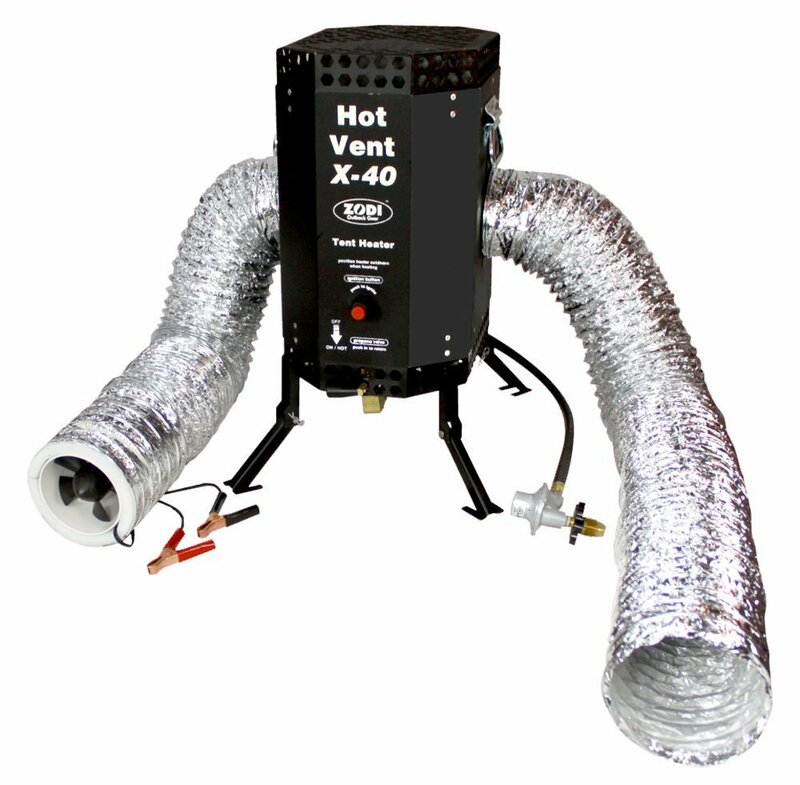 5) Do you need the heater to run several hours or for several days? 6) Does the campsite allow for the type of heater you want? Where is the site going to be? For the sake of safety, we’re not going to include gas or kerosene heaters. Though modern designs have almost eliminated one of the biggest risks--carbon monoxide poisoning--it’s not something you want to fool around with. That is why you should always opt for electric, propane, and wood burning tent heaters. When it comes to electrical heat, there are numerous models out there. The main similarity is that they require a generator or electrical hookup (EHU). EHU limit the amount of amps drawn by the unit, meaning the output could be lower than anticipated. However, electrical units are relatively cheap and are the most commonly utilized. For closed or tight spaces, electrical heaters are the best. Since they’re flame-less, they are also very safe. Be sure to make sure that all dust is removed from electrical fans before turning it on, especially when it hasn’t been used for some time. This reduces the chances of sparks and fire. Always plug an electrical tent heater into the outlet provided. Never use extension cords, unless they are specially made for this type of use. This little heater puts out a satisfying 1500W but is about the size of the palm of your hand. 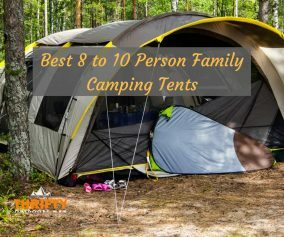 Though it is highly recommended for campers who are soloing it and have just enough tent to keep them out of the cold, you definitely won’t be feeling neither the effects of the weather nor the price on your savings. Weighing at about 3 pounds, it is also not too heavy to carry in your bags. The Comfort Zone Personal Heater/Fan is electric, has two heat settings, an adjustable thermostat, sturdy metal construction, and a high limit safety fuse. Another excellent feature is the overheat safety light, so you don’t have to worry about it becoming too hot and catching fire. The only disadvantage is that it needs to have some form of ventilation. Never hang it up in a tent either. You have to admit that having a hanging lantern is a pretty cool idea. 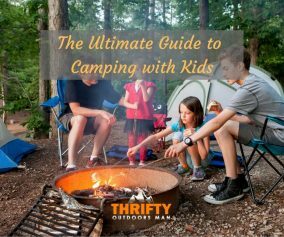 This keeps the heating elements from getting too hot, keeps the lamp out of the way, and also is safer than having something flammable on the ground, especially when camping with a group of people or with children. The Outwell Fuji Electric Camping/Patio Heater has two settings: 600 and 1500W, meaning you can safely use it both indoors and outdoors. The unit is about 4.5 pounds and is actually rather large, so it’s not recommended if you have to hike quite a ways to the campsite. Plus, it runs off electricity, meaning you can’t plug it in without portable energy or a campsite with outlets. An advantage is that you can get both a light and a heater, eliminating the need for illumination. These type of tent heaters are well suited for camping for two reasons: the fuel is cheap, and the heat put out is enough to warm several people effectively. Propane heaters are best used with either 3-season tents or 4-season tents, since they are built to retain heat, not vent it out. The downside is that carrying the tanks with you can be quite cumbersome, since they generally range from 1 pound to 20 pounds, with 20 lb lasting for a couple of days. A 1 lb tank probably won’t last even 6 hours. This model is the prefered propane heater is the preferred model for many campers and hikers out there. Not only is the size perfect for tents of multiple sizes and makes, but the model is quite safe. You can get a range of 4,000 to 9,000 BTUs per 225 square feet of space. Ceramic burner tile mounted with a special shock absorbing insulating that is very durable. With all that, it’s no wonder the Mr. Heater Buddy series is highly prized. Ceramic burner tile that is mounted with shock absorption materials, just like this unit’s bigger version, mentioned above. The only disadvantage that has been noted is that the Little Buddy often takes longer to fire up than its counterparts when the overall ambient temperature is low. Though similar to the Little Buddy by Mr. Heater in shape and design, the Texsport Portable Outdoor Propane Heater is cheaper and also delivers less heat. This is a great tent heater for those early spring months when the temperature dips just low enough to make you wake up shivering or when you need to take the edge off. The propane heater is made out of durable stainless steel. The base is a large plastic paddlefoot for better stability, as this doesn’t have the breadth of automatic shut-off features that the Mr. Heater series does. Rest assured though, the Texsport model will turn off if accidentally knocked over. It uses a 16.4 ounce or 14.1 ounce disposable propane canister only. In short, while it may not heat larger tents in the dead of winter, sometimes you don’t need massive amounts of heat to be comfortable. That is where this little unit comes in handy. When you want the very best, nothing is going to heat your tent like the Zodi Outback Gear X-40 which delivers up to 40,000 BTUs. This is ideal if you not only have the money to use, but the weight allowance to carry 5 gallon propane tanks with you. 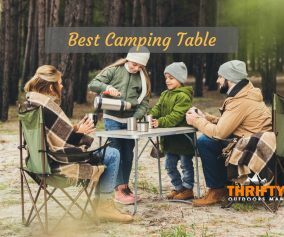 If you are driving to a campsite, then you may be able to make use of this incredible system, because it weighs 34 pounds without including the propane tank. The Zodi Outback is made out of rugged metal that is very portable as well as safely constructed to ensure that the amount of heat put out doesn’t come with any dangerous fumes. It takes only a few seconds to set up the system, too. All you need is 12 volt power and your propane tank. Once you are ready to pack up, everything that comes with the unit can be compacted down to fit into the carrying bag. One of the major advantages of a wood burning stove is that you aren’t limited to searching for campsites with electrical outlets. The downside is that you need a flame retardant tent that can fit both stove and flue. Some tents are specially made to fit this unit. Also, keep in mind that a wood burning stove will be extremely heavy to carry at times, even as a portable version. Not only is the design of this wood burning stove top-notch, it is also great for larger tents and retro canvas tents. The stove, despite being made to either heat or cook, is lightweight, portable, and easy to assemble. When you store it or transport it, some of the components can be tucked into the main body. PLus, there is a handle on the side of the belly to make transportation easier. Thanks to the COFT (controlled open flame technology) you can heat the inside of your tent while brewing up a cup of tea. Overall, it’s a great buy. All tent heaters, from your standard pocket warmer to propane models that practically gush warmth come with some risk. Be sure to follow the rules when utilizing a tent heater to protect yourself from any dangerous. Remember to never operate these devices while sleeping and to keep all children and pets away from them. Always provide ample ventilation as well. Lastly, when switching off a unit that uses propane, be sure to bleed the line. 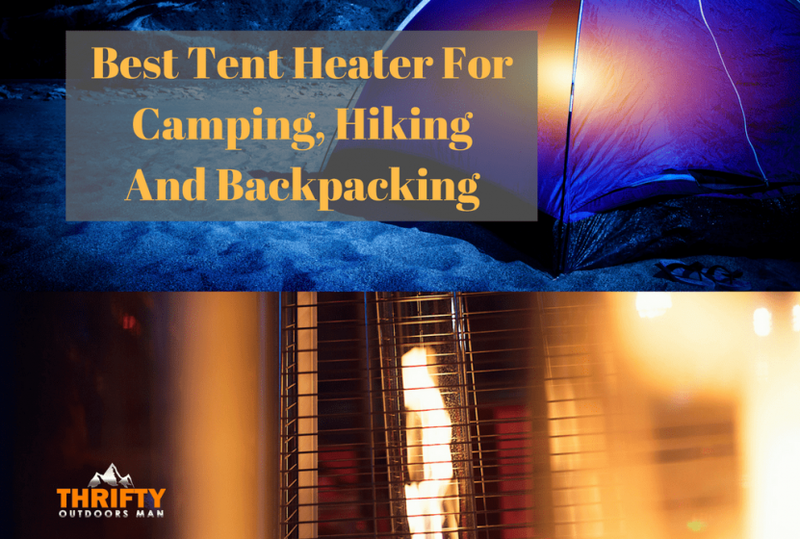 Tent heaters often become a necessary piece of equipment when camping and hiking during the cooler months. In order to extend your personal hiking season, consider purchasing a tent heater like one of the models listed above. They are certainly some of the best from the most popular types: electric, propane, and wood burning. Every type has its own strengths and weaknesses, so be sure to think about those factors before buying. Nicely worded article. In a cold climate a tent heater can be lifesaver as long as it’s used with care.